For more than 70 years, Weaver and Sons has manufactured precision sheet and plate metal components, managing all stages of production from raw stock to finished product. Offering comprehensive machining services, we utilize a 25-ton CNC punch press primarily used on sheet metals. This CNC punch press operation primarily manufactures screen plates and perforated plates. It is also commonly used to cut liners from UHMW sheet materials. 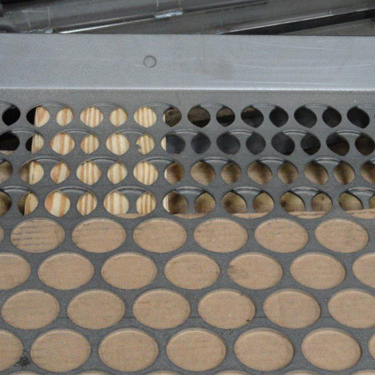 Our advanced CNC punching equipment can additionally perform tapped holes, embossments, and louvers – among other processes. The ability to build precision components while meeting the various deadline requirements of our customers has established Weaver and Sons as a leading supplier of custom metal parts for diverse industries. Contact our company today to learn more about our CNC punching operations or any of our other premium manufacturing capabilities.